Image Credit: Open Education Week. Next week, a number of higher education institutions will be participating in Open Education Week, an annual awareness campaign for free and open educational opportunities. Launched in 2012, the event attracts hundreds of contributors from nearly 50 different countries and participants from more than 130 countries. Education institutions and organizations around the globe have submitted research and resources to the campaign organizer Open Education Consortium, an association of more than 230 universities, colleges, schools and organizations worldwide that support an approach to education based on openness. 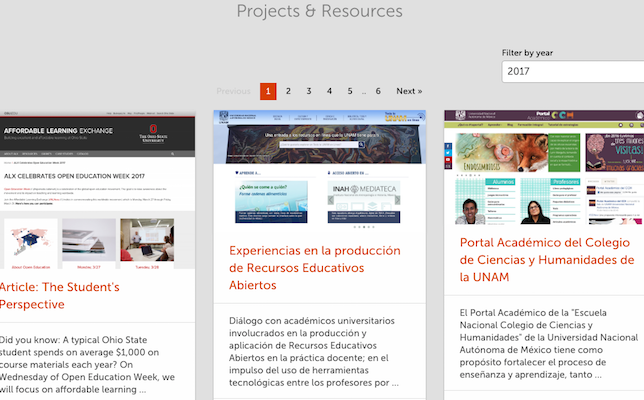 During Open Education Week, the campaign website will showcase new projects and resources for others to use to adopt an open education model. At the institutional level, participants will hold community events and webinars, as well as organize on social media under #openeducationwk. The University of Texas Arlington (UTA) Libraries, for instance, will participate by hosting a weeklong series of events on campus. UTA Libraries will collect student feedback on attitudes toward textbooks; facilitate an open dialogue on college affordability; hold a webcast that is free and open to the public; and lead a workshop for faculty and graduate students that provides an overview of how to build assignments that rely on open data and promote open sharing and information. Penn State Berks, a commonwealth campus of Pennsylvania State University, will also be participating. Penn State Provost Nick Jones initiated the Open Educational Resources Task Force, which is chaired by Barbara Dewey, dean of Penn State's University Libraries and Scholarly Communications. All of Penn State's campuses worldwide joined the Open Textbook Network this past January to further support faculty and students’ use of and access to openly licensed academic course content, according to information from the institution. The highlight this year will be an interactive textbook display in the Thun Library on campus. Virginia Tech is hosting a series of events for the week. It will display its interactive and visual exhibit featuring information on the cost of learning, as well as sessions for faculty and others “who want to know about platforms which enable sharing, finding, creating and/or adapting of openly licensed or public domain resources,” according to the event website. To learn about other events taking place next week, visit the Open Education Facebook, Twitter or YouTube pages, or the campaign site. Updated March 24 at 2:30 p.m.